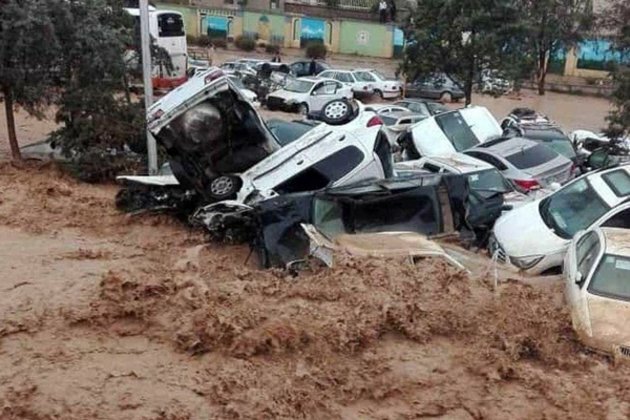 At least 19 people have been killed during the Monday flash floods in the city of Shiraz in Fars province, southern Iran, as a fresh wave of flooding is engulfing several parts of the country, from north to south and from west to east. That was announced by the Health Ministry, which put the number of those injured in the province at 105 so far. A number of vehicles entering or leaving Shiraz were also caught in the floods at the entrance to the city, which was the major contributor to the high death toll. Personnel of emergency services including the Firefighting Department, Red Crescent Society, and the police immediately rushed to the help of the occupants. Relief operations are going on in Shiraz. The provincial governor of Fars as well as the governor of Shiraz are on the scene to see for themselves the trend of relief work. The Red Crescent Society is also on high alert to help flood-stricken victims. Residents have been asked to avoid nonessential travel. Meanwhile, armed forces as well as voluntary Basij personnel are contributing heavily to relief operations. In the meantime, Iranian President Hassan Rouhani, in a message, expressed condolences on the deaths of a number of fellow countrymen in the floods. He also instructed authorities to redouble their efforts to reach out to flood-stricken victims and soothe their sufferings. He said the Cabinet will meet on Wednesday, March 27, to survey the damage inflicted on residents and to adopt the necessary decisions to indemnify flood victims. The president also instructed the interior minister to immediately examine the causes behind the flash floods in Shiraz and present a report accordingly. The deadly flood in Shiraz came a few days after heavy flooding in the northern Iranian provinces of Golestan and Mazandaran killed several people. 25 other parts of the country, especially Khuzestan and Lorestan provinces in west and south-west of Iran, are also on high alert.